At first glance, spreadsheets & word processors may seem like a perfect solution for these tasks. These generic tools are manipulated into service in a myriad of ways because they are simple to use, cheap, and flexible. ensure nothing is overlooked by tracking all outstanding queries centrally. We have scoured the market to find the best solutions available. Without a doubt the industry leader in automation of standardized reporting is CaseWare. It is not the least expensive and it is more complex than a spreadsheet. But it provides a level of automation, validation, and repeatability that is without equal. Automate many of the most time-consuming steps to become much more efficient. Time savings of 25% to 45% are common. With increased automation, built-in structure, and automated verification/review the most common causes of errors are prevented. Fully documented, controlled business processes become easily repeatable. This is incredibly valuable in the event of staff turnover. Further, repeatability facilitates on-going incremental improvements and better support for managing deadlines. Consistent, professionally designed statements eliminate the need for graphic designers and the associated time delays and expense (not to mention the risk of error). Handing an electronic file to your auditor that is linked from statements all the way down to scans of supporting documents means they have the easiest to review, most complete year-end file possible. Saving the auditor time translates into reduced audit fees. Automating vast portions of complex reporting tasks often reduces overtime related costs. For example, using spreadsheets the time required to tackle year-end and the associated deadlines means evening and weekend work is inevitable. For those where overtime is not paid, the weeks of time savings can be invested in other projects/tasks. It translates to "free" weeks of time available for other tasks for the organization or restoring the work/life balance for your dedicated staff. Modern, dedicated reporting automation tools are designed to manage entire business processes without paper. 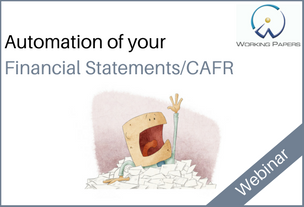 Paperless processes mean no printed audit binders and no more printing 20 draft versions of the statements as you correct values you forgot to update. Industry leading software and best practices only provide maximum benefit when implemented properly. Further, inexperience implementing these systems can lead to a lot of precious time being wasted and considerable frustration. Our team can help. Large organizations use a myriad of systems; ERP, budget, payroll, capital asset databases, P-cards etc. Improving efficiency means integrating with these systems to save time, prevent fraud, reduce the risk of error and improve value for money in your operations. Perhaps you have been using the product for years. Are you using it to its full potential? Could an unused feature/approach result in saving hours every month? Our experience tells us most often the answer is "Yes". Whether you are a believer in traditional in-person training or embrace online opportunities, we have a training solution that will fit your preference and budget. Our authorized instructors will educate your finance team in a traditional classroom setting or in the comfort of their office. I am certainly happy we implemented CaseWare. I easily saved 40 hours of time. 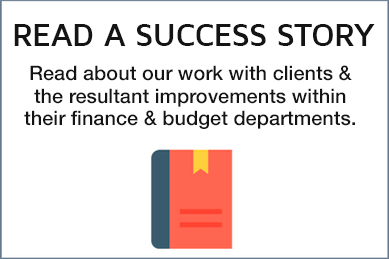 Plus, we saved $8,000 on our audit fees because of the time it saved the auditors. We expect it will get faster and better yet! FH Black exceeded our expectations. From day 1, their project manager (Darryl Parker) made us believe we were his one and only client. With his deep knowledge in governmental accounting, he had a clear understanding of our practices and challenges. Improve insight with business intelligence driven from better ad-hoc reporting and dashboards. Relevant information, delivered to the right stakeholder, in a clear and concise format is a critical function of the evolved finance department. More than 500,000 finance professionals in 130 countries use CaseWare to automate their most complex standardized reports. Working Paper's features ensure an error free, efficient, and repeatable process. Automate the request and insertion of supporting documents into your CaseWare file. 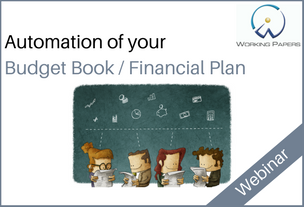 The perfect solution to eliminate the need for input cells in your financial statements and other reports. Eliminate the manual population of the Excel template provided by Municipal Affairs. Automate your imports, and the year end / quarter end / month end close processes.